If Eden has a modern parallel, then arguably it is the Galapagos Islands. Famed worldwide for its diverse habitat (over 40% of its wildlife is unique to the islands), it’s the place that inspired Darwin to put forward his theory of evolution. Whilst it may be populated with giant tortoises and finches galore, the plant species occupying the islands are no less bizarre or exotic. The islands have 3 major zones of vegetation: coastal, arid, and humid. The coastal zone, where a high salt tolerance is key, is populated by mangroves. Four mangrove species populate the Galapagos and, whilst none are the sole preserve of the island, they serve as an important nursery area for both commercial fish species and sharks. The arid zone is the most extensive and the vegetative backbone consists of Palo Santo (Bursera graveolens), whose colloquial name translates as ‘Holy Wood’, and six native species of Opuntia cacti. The humid zone, however, is where the floral variety of the islands really shows. The humid zone can be sub-divided into three further zones: the Scalesia zone, the Miconia zone, and the pampa zone. The Scalesia zone is dominated by forests, consisting primarily of the species Scalesia pedunculata. Members of the Scalesia genus are closely related to daisies, whilst not all found in humid zone (some in arid zone), all are endemic to the islands. Indeed, such is their variety that they are often seen as the floral equivalent of Darwin’s finches. 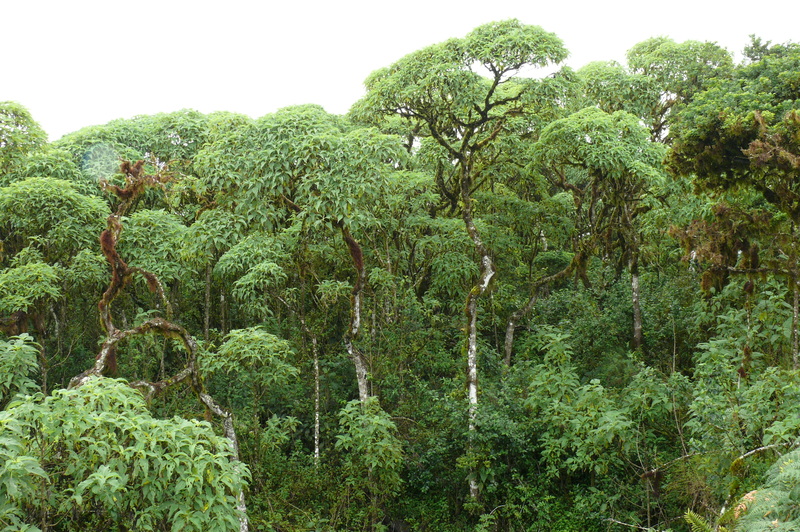 The Miconia zone is principally low lying shrub land and is home to plants of the genus Miconia, as well as the vast majority of Galapagos liverworts. The Miconia once dominated this zone, but the introduction of cattle has since caused it to become endangered through grazing. Finally, the pampa zone is dominated by ferns and grasses, including the Galapagos Tree fern which can reach upward of 3m. It is also the wettest zone of the islands and can receive up to 2.5 m of rain annually. The backdrop set and the mood established, the situation today can be examined. The Galapagos may be full unique species giving it an exotic sense of wonder, but all is not well on the islands. Foreign flora have become invasive and threaten to disrupt the ecological status quo of the island. There is the quinine plant, introduced in the 1940’s for agricultural purposes, that dominates the Scalesia and Miconia zones of some islands. To add to the damage, it also alters the habitat structure and species composition widening its impact on the islands native species. Guava is also a problem, whilst there is one species of guava native to the islands (Psidium galapageium), it is the foreign Common guava (Psidiun guajava) that is problematic, out-competing the native guava. Though, in a somewhat ironic turn of events, it is also preferred as a food source by the islands’ famous guardian tortoises. Perhaps the chief villain of this ecological play is the invasive hill raspberry (Rubus niveus). Introduced in the 1970’s for agricultural purposes, it has quickly become the most widespread invasive plant in the Galapagos. Its seeds can remain dormant for up to 10 years and are dense in the soil hampering control efforts. The plants quick rate of growth and sheer height (it can reach up to 4m) allows it to outcompete native species. 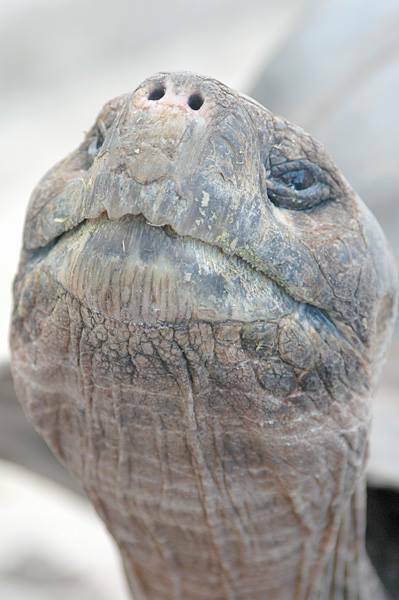 It also has indirect effects; growing dense and blocking the migration routes of the Galapagos tortoise. So what’s being done? 97% of the island is protected inside the Galapagos National Park, and agriculture and foreign species are closely monitored. Quinine plants have successfully been controlled through the targeted application of herbicides to incisions made in the trunk. The mass removal of goats, another species introduced for agriculture, from the island has helped reduce the destruction of native vegetation and a move towards sustainable agriculture and building can only be beneficial to the islands delicate ecosystem. However, there is still work to be done to control invasive species. There are also environmental threats; more frequent El nino events, associated with increased Global Warming, can damage native species and allow further spread of invasive species. Whilst the Galapagos are still an iconic symbol of the biodiversity of life, with 24% of native plant species considered endangered, one thing is clear: there’s trouble in paradise. This article is the product of an interview conducted with Pete Haskell, Communications Officer for the Galapagos Conservation Trust (GCT). The GCT is the only UK charity to focus exclusively on conservation and sustainability in the Galapagos Archipelago. For more information visit http://www.savegalapagos.org. 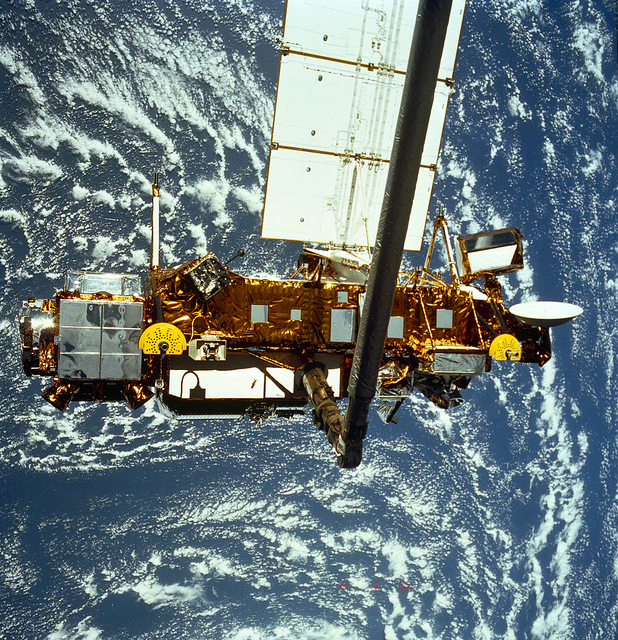 When you think of farming, satellites probably aren’t the first thing that comes to mind. Yet in the coming years, farming may be more and more tied to the information gathered by satellites orbiting the globe. New technologies are being developed to integrate precision satellite data with farming practices around the world. These techniques hold the potential for not only increasing the efficiency and yields of farms, but also to reduce the environmental impact of intensive farming. In the United Kingdom, a group of companies known as the Courtyard Partnership are hoping to revolutionize farming by providing in depth data from satellite imaging and soil analysis. By providing farmers with information on soil variation across their fields the group hopes to facilitate increases in yield while at the same time allowing the use of more environmentally friendly farming practices. Soil brightness scanning by satellites provides information on soil texture, moisture, and organic composition which enable farmers to make distinctions between different soil types. This in turn allows soil inputs to be calibrated based on the specific soil “zone” determined through the combination of satellite imaging and soil sampling on the ground. Initially this could allow farmers to reduce wasted fertiliser by applying the optimum amount for each soil zone..
Later on, satellite images can also be used to provide data on chlorophyll cover, the pigment in plants which gives them their green colour. This acts as a proxy for plant nitrogen levels, which influence chlorophyll content. If the chlorophyll is lower than ideal, this can be compensated for by increasing fertilizer input. At the same time, the satellite images also provide data on the “Normalised Difference Vegetation Index” (NVDI). This provides a measure of crop growth (or “thickness” on the ground). With this data, farmers are more able to monitor the total health and growth of their crops on a large scale. Indeed, the digital files containing the satellite data, and thus the corresponding chlorophyll and NVDI levels, can be tied to the farm machinery, allowing automatic changes in inputs ranging from seeds to fertiliser. 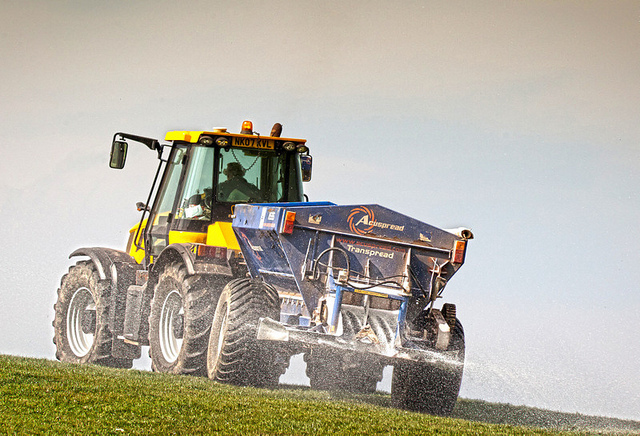 This type of high precision data has the potential to dramatically decrease pollution and fertiliser waste. According to the Courtyard Partnership, use of such techniques could lead to savings of 45 tonnes of carbon dioxide emissions, as well as significant decreases in fertilizer use. Considering the serious environmental consequences that have stemmed in part from the industrialization of farming, such techniques seem promising. The extensive application of fertilizers since the Green Revolution of the 50s and 60s have indeed led to increases in agricultural production, but at serious costs. Fertilizer runoff into rivers and streams has been implicated in significant algal blooms. The dead zone of the Gulf of Mexico arises from the nitrogen and potassium fertilizer runoff polluting the Mississippi river. The resulting algal blooms cause hypoxia, or low oxygen levels, killing off much of the marine life in the area. The concept of using satellites in agriculture may seem alien for now, but if we want to solve our problems on the ground we may be best off looking to the sky. Agri-Cultural Psychology: Does rice explain the difference between East and West? Humans cultivate plants. 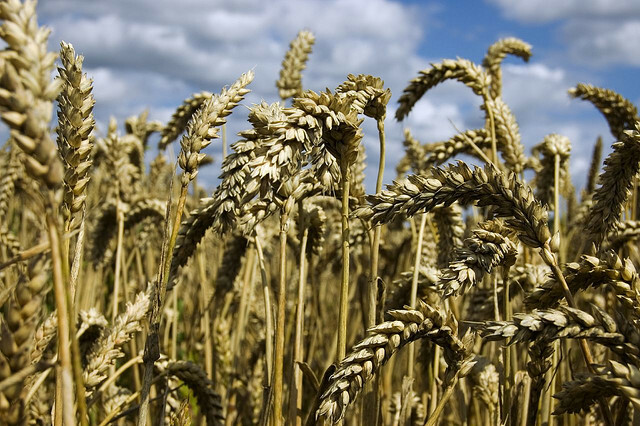 From the first steps of domesticating wheat, through the Green Revolution, to Genetic Modification, people have selected for plants to suit their needs. Indeed, even wild plants have inadvertently been selected for by man and many of the characteristics we associate with weeds have only arisen through humanity’s persistent attempts to remove them. In reverse, humanity can be seen as master of their domain and largely immune to environmental pressures. Rather than being shaped by it rather we shape it to meet our needs. But this was not always the case. A recent paper in Science argues that our cultural psychology, far from being an artificial construct, is instead firmly rooted in our agricultural past. Specifically, the paper aims to explain the differences between Eastern and Western cultures. Over the past couple of decades, the difference between these broad groups has been explored and characteristics described (the West is more individualistic and analytic whereas the East more communistic and holistic). Whilst several explanations have been proposed, they all display flaws and are deemed unsatisfactory or only partially responsible. The theory proposed in the paper is that the differing general characteristics can be explained through the historic communities’ preference for growing wheat or rice. The reasoning behind this is that rice, in comparison to wheat, is a more labour intensive crop, requiring approximately twice as many working hours for the same yield. Indeed it was noted that a husband and wife team would be unable to farm a plot large enough to meet the needs of their family, thus implying the necessity of interdependence. 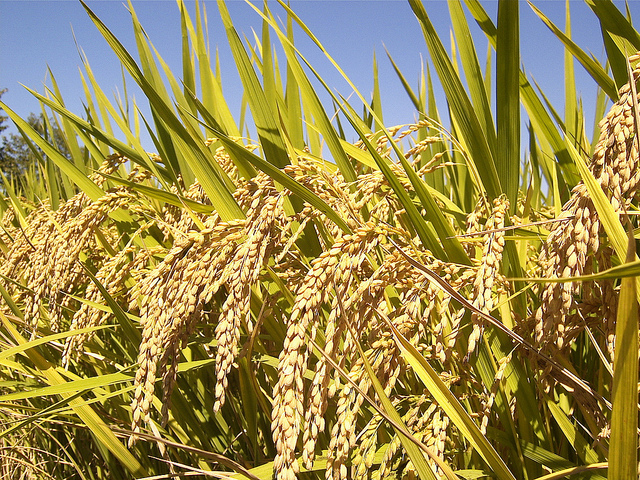 Rice also requires irrigation, which needs coordinated water use and shared labour to produce the irrigation network. To assess this cultural theory, researches conducted a study comparing the psychological traits of individuals from wheat and rice growing regions. The study took place in China, which can traditionally be divided between the wheat growing north and rice growing south, and focused only on the Han Chinese, thus removing any confounding variables of nationality or ethnicity. Account was also taken for the wealth and rate of infectious diseases in the county, both of which have been proposed as explanations for the differences seen in cultural psychology. Both were inaccurate predictors of individualistic or communistic cultural psychology. However, the region’s dominant crop was found to be an accurate predictor, thus supporting the hypothesis suggested by the theory. Research into other countries with a rice-wheat split, such as India and Indonesia, are expected to show similar differences in cultural psychology. How this psychology is passed down generations and if the method of rice growing has an effect on the psychology developed are questions still to be answered but it appears that whilst humanity has shaped plants, plants have also shaped humanity. To read more, take a look at the paper here.